Welcome to the Benefice of Llantilio Pertholey and Bettws Chapel with Llandewi Skirrid in the Diocese of Monmouth. 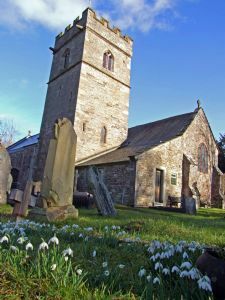 The parish consists of St Teilo’s church (Llantilio Pertholey) with Bettws Chapel (Bettws) and St David’s church (Llanddewi Skirrid), serving the people of the Mardy and its surrounding areas around Abergavenny on the South Wales border. We hope that you will find something of interest on our site and look forward to welcoming you to one of our churches in the future.